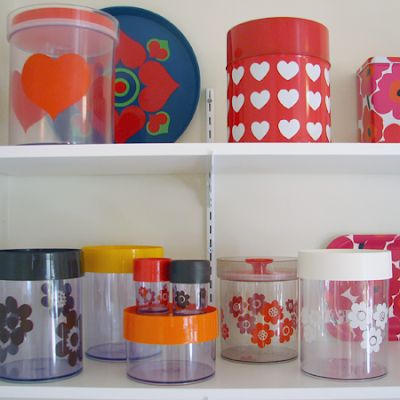 Completely obsessed over Erik Kold plastic canisters right now. I know, I know, plenty of obsessions around here. But really, as far as obsessions go this one is pretty major. 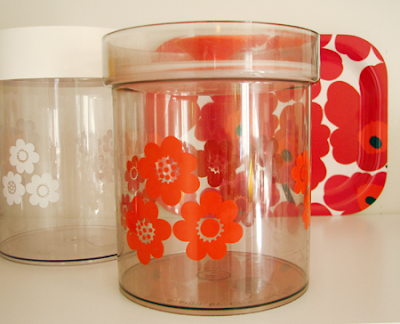 Plastic containers from the seventies. From Denmark. With gorgeous little flowers on them. Oh, and I have one with a heart. Almost impossible to find here in Canada. Until a week ago when I went to a thrift store and found a set of 4 brand new orange Erik Kold containers with the ORIGINAL stickers still attached!!! For $6!!! I went into a bit of a cold sweat and then oh so casually picked them up and, containers tucked tight under my arm, ran to the checkout. Pure luck. Unbelievable really. Then there's my continuous search for anything by Laurids Lønborg. Very tough to find, even online. 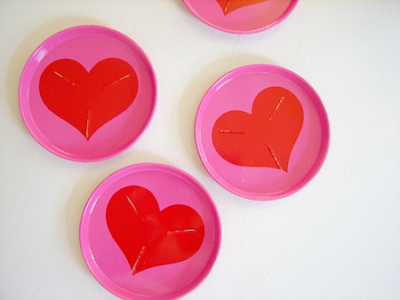 I was so happy to score the 5 coasters above, and am still hunting for a Laurids Lønborg tin canister. So, aside from the one lucky Erik Kold find right here in Victoria, I search far and wide in order to feed my obsessions. 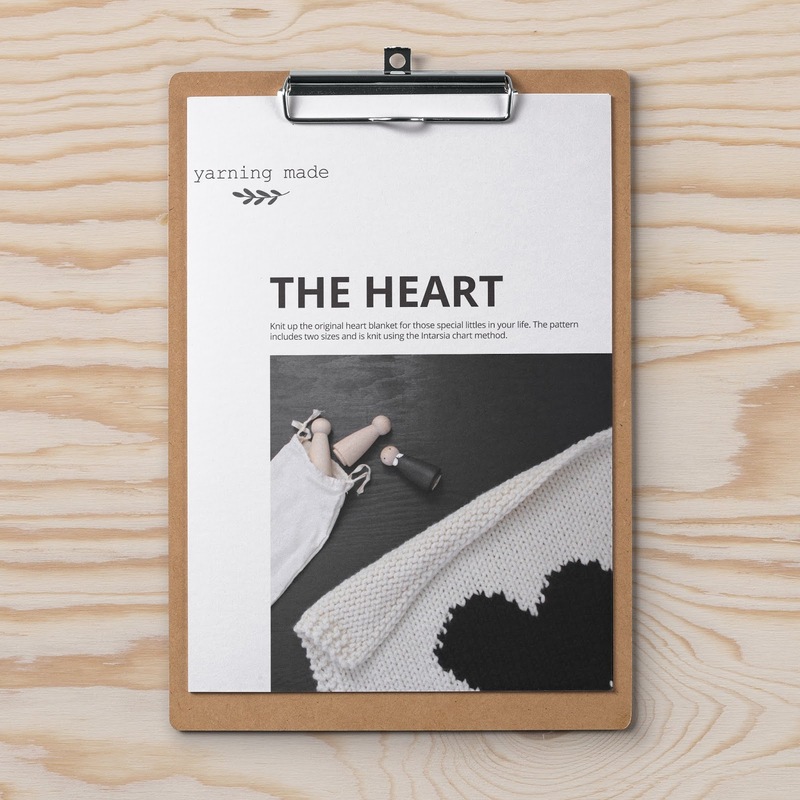 I found one incredible online vintage store in Denmark (this is where I purchased my Danish treasures above) and herein lies my dilemma... do I pass along this valuable information? Do I keep this to myself? 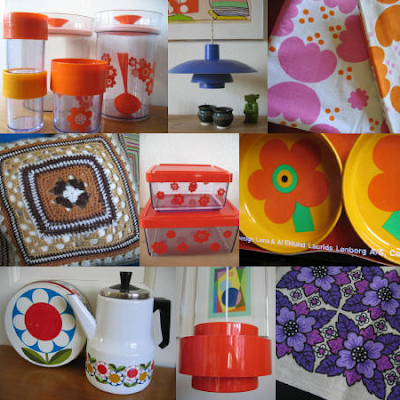 The treasures go beyond fast there as it is... After much deliberation I decided that yes, I will pass along the treasured url of my very favorite online Danish vintage store, Jakmussen.dk. Below is just a sneak peak of Lis Rasmussen's many, many treasures. Haha! Exactly. I remember growing up with all the Brabantia tins I love so much now. Took it for granted then and now pay a lot for... My mom has thrown out all! Go to the Jakmussen site for replacements! :) I have found other sites as well if you are interested.